When watching System of A Down's 'Lonely Day' video, I noticed an intertextual reference to Pink Floyd's 'Wish You Were Here' album cover. 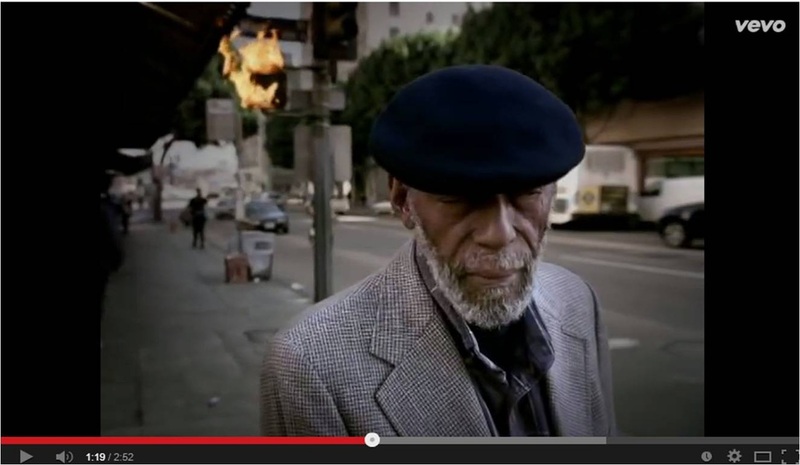 This reference ties in with the rest of the video as fire is seen throughout the duration of the music video. As the fire burns on people just continue with their everyday life, not taking any notice to the destruction that is taking place. 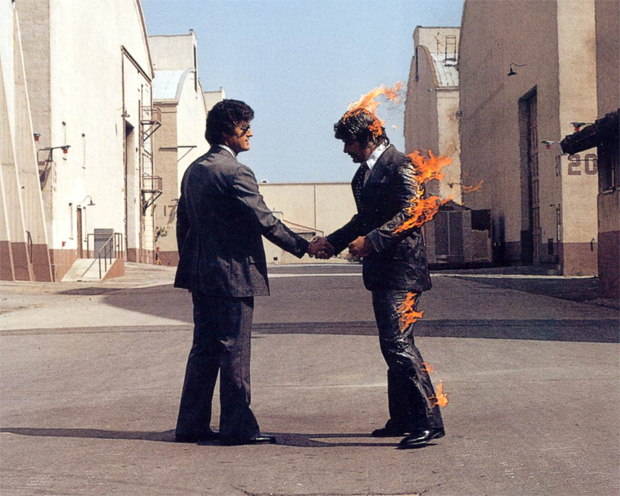 As is seen in the Pink Floyd album cover reference, the men are shaking hands whilst one is on fire as if all is fine, hence why the intertextual reference was made. "the fire represents scenes from Iraq with buildings on fire from bombings, and life going on as normal while destruction of the city is happening in the background"
This video got me thinking as to how I could portray a message with in my own video in such a way that links could be made yet many different conclusions could be reached dependant on the social background of the viewer.